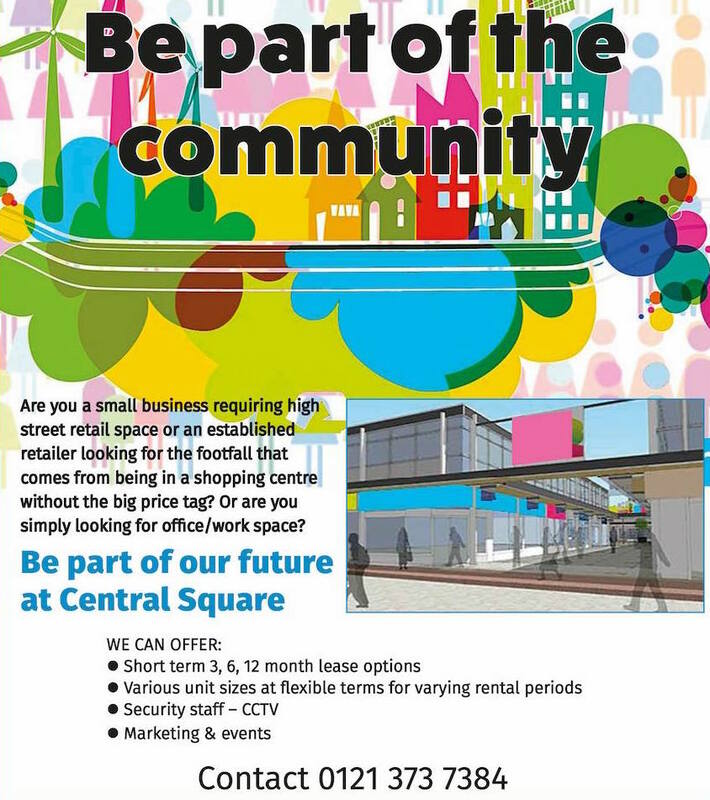 Central Square Shopping Centre has a number of commercialisation areas and space available which are available for rent. The centre use a professional promotional company, Forum Centre Space, to book space on the main malls for short-term rent. There are also poster sites available to rent to advertise business on the main high street. For further information please contact Forum Centre Space on 0191 226 88 44 or Central Square’s management team on 0121 373 7384.